Tumblr, much like Snapchat, is subject to debate whether the platform is a place for kids and gifs of cats, or whether it is a valid network to extend brands’ already fragmented marketing efforts. With over 100 million posts per day, the platform boasts roughly 350 million unique monthly visitors; the majority of whom are the elusive millennial audience which marketers lick their lips at the thought of getting their brand in front of. Simply put, Tumblr can act as brands’ secret weapon to spread relevant and timely awareness. Although this demographic’s media consumption may be considered anomalous today, it is an almost certainty to become the norm in the future. The digital-savvy and mobile-focused age group have become more aware of marketing noise which is forcing brands to halt shouting their slogans as loud as they can, and start creating useful and timely content to entice engagement in a very noisy digital world. 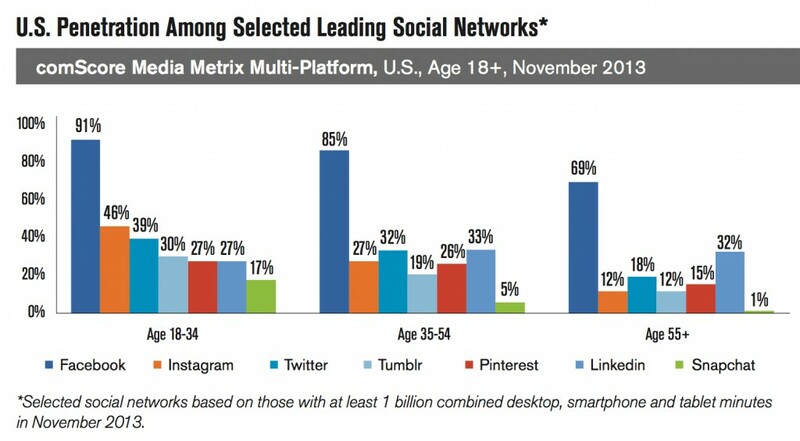 Fragmented, compared to differing age groups, Millennial media consumption extends a further reach across a multitude of predominant networks. But how are marketers to take advantage? 3. The platform is becoming more and more relevant in reference to real-time shelf life. 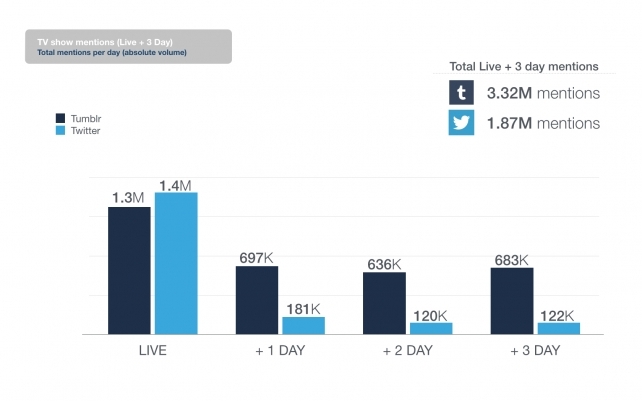 A study by UK-based social data intelligence, Pulsar, illustrated Tumblr’s Social TV activity too be greater over a longer period of time than Twitter. The blogging platform offers an attractive opportunity to build upon a well-rounded digital strategy; through relevant, valuable and indexed content. Whether your brand should be on Tumblr will be defined by the emerging behavior of the brand’s buyer persona which may soon encompass a majority of the Millennial population.